Norton’s Gas is a family owned business started by David and Lisa Norton in 1987. David and Lisa were both raised in local communities by self-employed parents. As a young couple, David worked construction and Lisa sold Tupperware and served as a part-time waitress while they launched their “part-time” propane business. It was quickly evident that the business was growing too fast to be considered part-time, so David committed to it full time. Their family grew along with the business. They have 4 children, the oldest was only 5 months old when they started the business. They are all grown responsible adults now, but David and Lisa feel very blessed to have had the opportunity to raise their children in an atmosphere of responsibility and love. 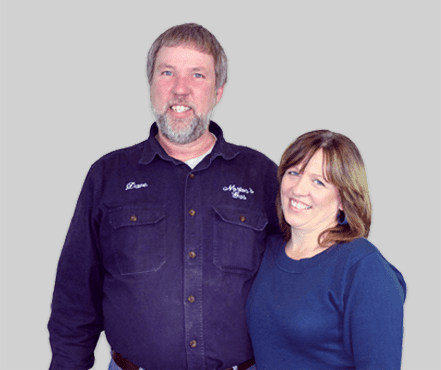 They are pleased that some of their kids have joined Norton’s residential and commercial gas propane heating business in Edmeston and Cooperstown! Our family of employees has also grown over the years!! We are SO blessed to have these team members!! When hiring over the years for our residential and commercial gas propane heating service in Edmeston and Cooperstown, we have chosen our staff based on solid work ethic and integrity; you can see by the longevity of our employees that this has served us and the customer well. We believe that you will find each of them to be as pleasant to work with as we do! We are part of your local community! We believe in doing business the “old-fashioned” way. If you are frustrated at calling a company and getting someone on the line that is in another state or another country, then WE OFFER SOMETHING DIFFERENT! When you call us, you get US on the other end of the line! When you call, get service or get a delivery, you will be very likely to see the same faces and hear the same voices every time. In our time as a residential and commercial gas propane heating services to Edmeston and Cooperstown, we have built solid friendships and relationships with many of our customers over the years. We hope to do the same with you!